Everyone's been abuzz with praise for the Sixers hiring on former Houston Rockets Assistant General Manager Sam Hinkie. Some have called it a huge step in the right direction, others have used it to say that this hiring has reinforced that the Sixers finally have ownership in place that actually cares about building a championship basketball team. Nobody will deny that the Sixers had one of their worst seasons in recent history. Nobody will deny that there needed to be a complete change from top to bottom, that the very culture of the team had to change. But is this really the answer? They needed a culture change, but they needed to establish a culture of winning. The Sixers, the toast of the town in the Iverson days, have been relegated to a distant fourth in the Philadelphia sports landscape. Attendance has plummeted. With this GM pick, the Sixers had a chance to do what they tried to do last summer, make an immediate splash that not only brings excitement to the fans, but immediately propels the team into the top five of the East. They needed to go with the home run, the no-brainer, the big splash. Instead? They brought in Sam Hinkie, the assistant GM of a team that hasn't won a conference championship since 1995. In the six years Hinkie was with the Rockets, they only made it past the first round of the playoffs once. So why the excitement? In the early 2000s, Billy Beane introduced SABRmetrics to Major League Baseball, popularized in his book "Moneyball." Since then, small market teams and a small but vocal group of fans have become almost evangelical in their belief that building teams focusing on these statistics, rather than signing the big money home run, RBI hitters, was the way to win. Suddenly, nerds in their mom's basements who have never stepped foot on a baseball field believed they had unlocked some secret that made them more knowledgeable than scouts, broadcasters and journalists with years of experience in and around the game. In recent years, advanced statistics have been applied to other professional sports, most recently the NBA. Stats like PER have found their way from internet forums into the every day vernacular of guys like Sam Hinkie. Yes, Same Hinkie is an ARBRmetrics guy, a stats nerd, a "revolutionary." In defending advanced statistics, it's biggest followers always overlook one major flaw in the system: it doesn't work. Billy Beane might have sold copies of his book and parlayed it into a major Hollywood blockbuster, but he was never able to parlay it into a championship caliber club. While Billy Beane was looking for guys who could work a walk, the Yankees were signing superstars and collecting championship rings. There's nothing "advanced" about the proven formula of winning, bring in the best possible players and you'll win. 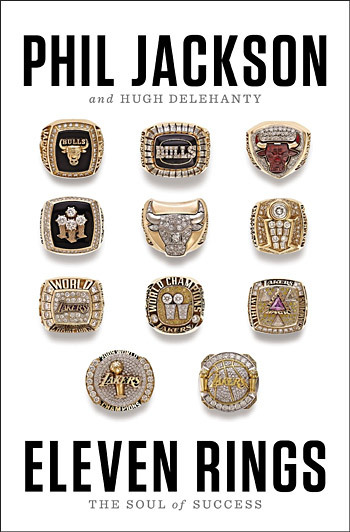 Phil Jackson stockpiled rings by having the best talent money can buy playing hard for him. And don't think for a second that it was statistics that brought LeBron James to the Heat. Winning in the NBA isn't about numbers, it's about talent. This isn't baseball, where you can mix and match journeyman and see if it works out. There's no minor leagues for NBA superstars, they haven't spent years NBA learning their role on the team. They don't have the humbling experiences of cramming themselves into buses to play games in tiny upstate towns. Most of the best players in the NBA didn't even play in college. These are urban kids with big egos and high paychecks. Players these days care about cars, sneakers and bling. They need someone who understands this, someone who can flash them a championship ring and say "I'll get you this." Josh Hinkie may be a brilliant guy, but that sort of guy isn't respected in this game. If players don't respond to Doug Collins, who has actually played at the pro level and Rod Thorn, a seasoned professional, how can the Sixers expect them to respond to an executive who looks like the kid they would beat up in high school? In the end, the Sixers let the rumblings of a few nerds on twitter and blogs dictate their future. But worse, they've doomed the team to at least five more seasons of rebuilding. The seats will be empty, the losses will pile up, and the Sixers reputation will continue to diminish. They brought in a guy who believes more in math than basketball, who will let Dwight Howard sign with another team without so much as an offer from the Sixers. They hired someone who won't even think about putting trades together for unhappy superstars simply because they doesn't fit into this "system." The Sixers could put the pieces around guys like Holliday and Hawes, but real Sixers fans are tired of first round playoff exits. Nothing short of a run to the East Finals will bring the Sixers back in to relevance in Philadelphia. You can't fill a stadium with stats nerds. Most of them don't leave their houses. The Sixers had the chance to swing for the fences and hit a home run with new GM, but instead they struck out. Advanced statistics may not care about either of those stats, but they'll soon see that the rest of the NBA does. LOL read the title..."The Preemptive Anti-Sam Hinkie Strike"
Is this a late April Fool's joke or something? This was good. I knew it was a parody and I still got frustrated by it. Well done.